You probably have heard the saying that we are “creatures of habit”. Our bodies crave routines and thrive off of rituals. Sleep is one of the most crucial ways that our body recovers from stress and trauma. A good night’s sleep can positively affect our mood. People who have experienced trauma or PTSD commonly have difficulty sleeping. Many times sleep brings intense nightmares causing people to either not want to fall asleep or wake up abruptly from sleep drenched in sweat and feeling panic. Other issues affecting sleep include: excessive worrying, hypervigelence, medical problems as a result of the trauma or drugs and alcohol used to self medicate. Sleep is the way the body processes the day’s events and puts the experience into a narrative that makes sense. REM (Rapid Eye Movement) sleep is our body’s natural healing process. Treating trauma and chronic stress with EMDR (Eye Movement Desensitization and Reprocessing) www.emdr.com has a secondary gain of improving sleep. EMDR treats traumatic life events and chronic stressors that interfere with healthy sleep patterns. EMDR can treat trauma form a long time ago or more recent traumatic experiences such as car accident, divorce, loss of loved one, victim of a crime, military or first responder experiences etc. Some trauma events take place at night and can deeply affect a person’s ability to feel safe at nighttime. EMDR can target and treat traumatic man made or natural disaster events that happened at night or while sleeping. EMDR can address actual nightmares and trauma related dreams from childhood trauma. EMDR can also address issues with insomnia not created by a medical condition if it has roots to a traumatic event or experience in a person’s life. EMDR therapy is a non medicated approach to sleep treatment. Insomnia created by psychological issues or learned insomnia can occur from poor sleep hygiene developed from childhood neglect and can respond to EMDR therapy. The experience of insomnia alone can be traumatic to experience. Fears of insomnia can be targeted with EMDR therapy. After past experiences of trauma are processed with EMDR then current experiences are processed. Finally, the EMDR protocol applies a future template of the client visualizing going to sleep naturally and effortlessly. Better sleep routines helps reduce traumatic symptoms and improves mood. Below are some important tips for creating bedtime routines. Tip #1 Establish a bedtime routine-Imagine yourself in a peaceful, pleasant scene. Focus on the details and feelings of being in a place that is relaxing. Some people who experienced trauma in their bedroom find it safer to sleep in a different room in the house. Also, it can be helpful to have a friend or family member stay in the room with you or one nearby if you are adjusting to sleep after a recent trauma. Get up and do a quiet activity, such as reading, until you feel sleepy. Taking a warm bath before bedtime can help. 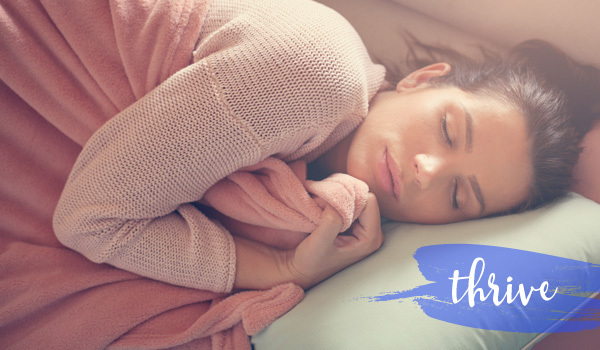 To induce sleep you can also use essential oils or inhalation beads with Lavender, Bergamot, Vetiver and Roman Chamomile oils to allow for a calming effect. Tip #2 Keep it regular- Go to bed when you are ready to sleep. Do not try and force it as this will increase your stress around sleep. Try to get up at the same time every morning, even if you feel tired. That will help to set your sleep schedule over time, and you will be more likely to fall asleep easily when bedtime comes. On weekends do not to sleep more than an hour past your regular wake-up time. In order to help keep your sleep schedule regular it is important to reduce your caffeine and avoid alcohol and nicotine especially before bedtime. Tip #3 Create a restful environment- Move the TV and radio out of your bedroom. Don’t watch the news before bed. Keep your bedroom quiet, dark, and cool. Use curtains or blinds to block out light. Some trauma survivors prefer using a nightlight or allowing for dim light in the room to help them feel safe. Consider using soothing music or a “white noise” machine to block out noise. Turn off your phone unless using a relaxation app on it. For relaxation try guided imagery from psychotherapist and author, Belleruth Naparstek at www.healthjourneys.com. Also, sometimes sleeping with our fury friends can bring a sense of comfort and safety and allow for a more restful sleep. Tip #4 Limit naps- Sleeping during the day affects your sleep rhythms making it difficult to fall asleep at night. In general, it is best to eliminate or reduce day time napping in order to have a regular sleep schedule. Although, after a recent trauma especially a violent one some survivors feel physically exhausted and may need to nap or lay down to rest during the day. Keeping naps short (15-45 minutes) is the best way not to disturb your sleep pattern. Tip #5 Exercise early in the day- Exercise during the day. Don’t exercise within two hours of going to bed, though, because it may be harder to fall asleep. Get outside during daylight hours. Spending time in sunlight helps to reset your body’s sleep and wake cycles. Tip #6 Manage worries- Write down your worries before you go to sleep. Let yourself know that you will think about them when you awake but now is not the time. People with PTSD are prone to generalized worrying and especially thoughts about reoccurring danger. Talking to friends and family as well as a therapist is helpful in reducing worry and anxiety so that you can sleep better at night. Use a mindfulness app on your phone to help with relaxation and sleep. You can download the free Mindfulness Coach app from iTunes created by the Department of Veterans Affairs. Don’t let sleep issues interfere with your life or effect your mood any longer. If you suffer from trauma or PTSD symptoms that affect your sleep then EMDR therapy can be helpful to you. Visit www.vancouveremdrtherapy.com to learn more about Lemecia Lindsey, LICSW and her use of EMDR therapy for treating trauma.